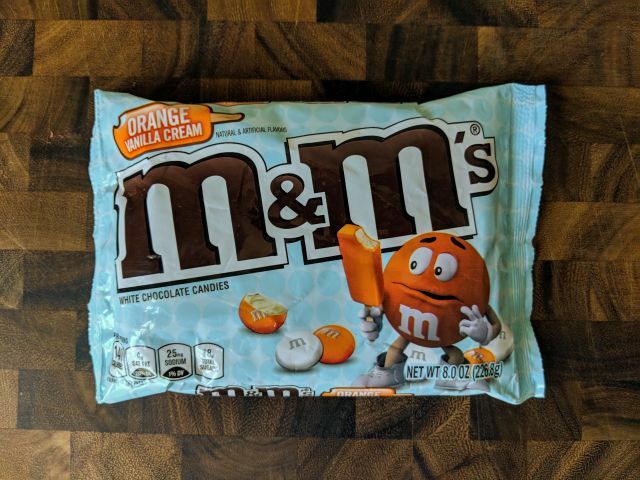 Orange Vanilla Cream-flavored M&M's are exclusive to Dollar General and feature a core of white chocolate flavored with hints of orange and vanilla, covered in a candy shell. An 8-oz bag goes for $3.25 but I received these courtesy of M&M's. These really do taste like an orange cream ice cream bar. There's a citrus-y, but not tangy, orange note coupled by a creamy vanilla flavor that's buoyed by the richness of the white chocolate. 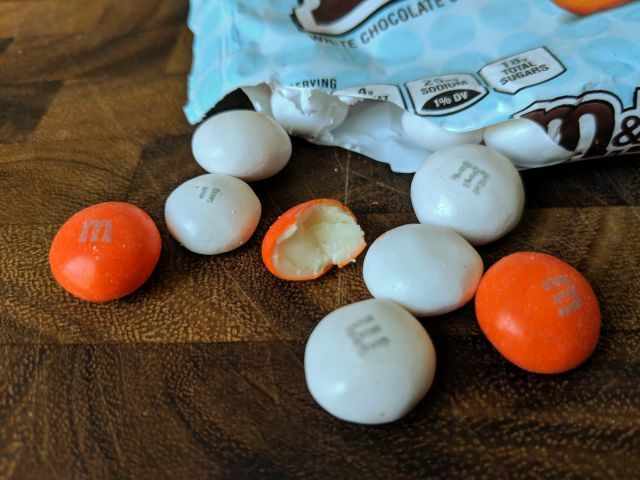 The candies are plumper than plain M&M's (probably so that the orange vanilla flavor has more of a chance to set in as you eat) but have the same crackly shell. I've found that special flavored M&M's can be hit-or-miss but they really nailed the flavor here. The only thing you're missing is the texture, mess, and temperature of the ice cream bar. If you're any fan of orange cream ice cream bars, I'd highly recommend trying these.